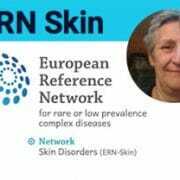 When the European Reference Networks (ERN) was set up, The European Union made a big step towards recognition of Rare Diseases and the necessity to have a more global healthcare. It is the fulfillment of many years of work. 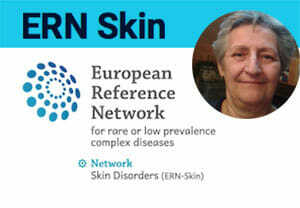 The network we are concerned with, ERN-Skin, coordinated by Professor Christine Bodemer, is one of the 5 networks coordinated by French Doctors. The excellence of the French healthcare model has been recognised at the European level. I am fully invested in the honour, and the responsibility, of being nominated as patient representative for connective tissue disorders. A lot of work awaits us and I am proud to be your voice and that of all patients so that, in Europe, collaboration of experts, development of multidisciplinary consultations, harmonising terminologies, spreading information, get rare disorders recognised by the authorities and improved healthcare will allow each patient, whatever their pathology, whatever their country, to receive a diagnosis and the appropriate care. We are the only organisation worldwide dedicated to Cutis Laxa. Therefore we must not confine ourselves to national actions, but widen them by working within International Organisations. Therefore I am happy and proud to announce that Rare Disease International has just accepted our request to become Full Member. We were accepted because we are the only organisation worldwide for Cutis Laxa, even though in the bylaws the membership is reserved for International Federations.